Linda Miller is the Broker at ROSEMARY BEACH REALTY and proudly represents the premier Traditional Neighborhood Development on beautiful SCENIC HWY 30-A. 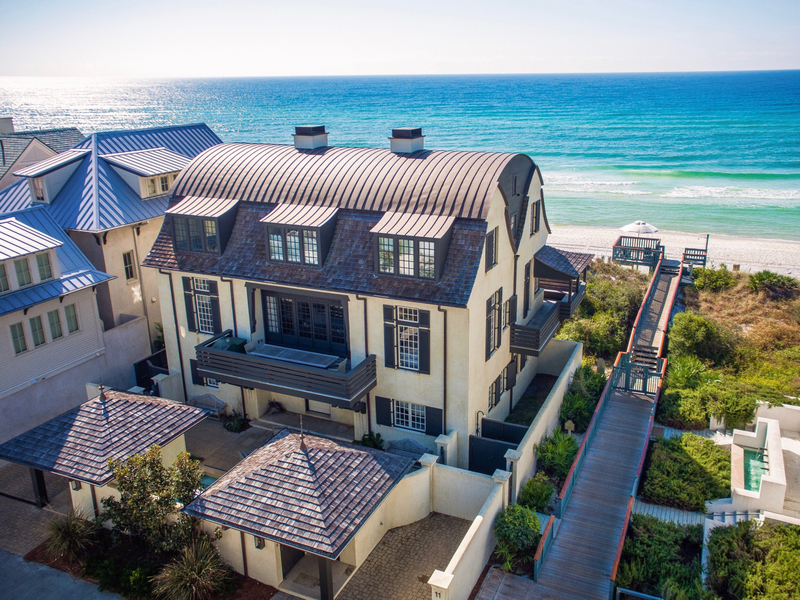 Located on the "synergistic East end" of Scenic 30-A, Rosemary Beach is only 25 minutes from the new Northwest florida Beaches International Airport (ECP). Rosemary Beach was named the "wealthiest zip code" in Florida by Florida Trend magazine in April 2014 (32461). Linda Miller began "living the dream" of life in "Paradise" in 1998. After growing up with the happiest memories of family times at the beach, she fulfilled her childhood prediction that "one day I’m going to live here"….The sugar white sands and crystal clear waters of the Gulf coast etched in her mind, she knew this was the place she belonged. Her appreciation for Seaside, Florida and the Traditional Neighborhood Development (TND) concept led to her hobby of learning all about this type of planned development that started over 30 years ago. These Traditional Neighborhood Developments have grown into thriving communities like Rosemary Beach &Alys Beach. Watercolor & Watersound are also successful communities developed by St. Joe on Scenic 30-A. In 1998, she got her Florida Real Estate license and began selling "Paradise" on 30-A. Linda has 16 years of experience and over $250 million in career sales. She was Realtor of the Year in 2004 & 2005 awarded by Emerald Coast Assn. of Realtors and her sales were are the top 2% of ECAR’s 3000 agents. She was elected to the ECAR Board of Directors and served for 3 years. IN 2004 & 2005, her sales exceeded $55,000,000 each year and she was #1 Sales agent in her brokerage. Blessed with 6 Grandchildren, Linda loves the fact that they always want to visit "Mimi" at the beach….and they bring their parents along too. She would love to help you find a home for you & your family to start making memories. Linda is known as the "Smile of 30A". The map of Scenic Highway 30A resembles a smile and she says "When you own property on 30A, you'll be SMILING too!"